Insectoid Kwama will be included in Bethesda's upcoming MMO game, The Elder Scrolls Online. In a post by ZeniMax Online Studios, the Kwama are explained in detail as it is announced that they will be part of the new The Elder Scrolls Online game. 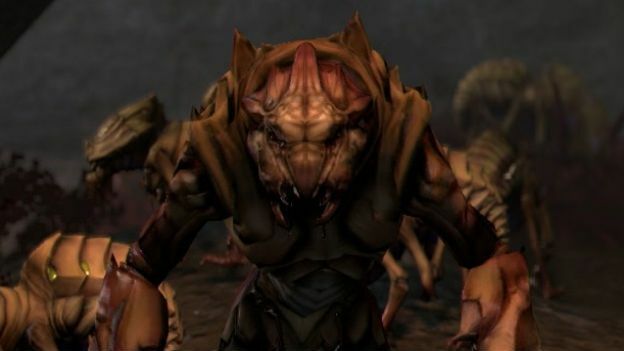 The insect-like creatures, previously seen in The Elder Scrolls 3: Morrowind, will come in three forms in ESO: the scrib, the worker, and the warrior. In creating the animations for the creatures, the developers have said they have focused on the movement of each type. For example, the warrior is twitchy and on edge and its attacks will look powerful and brutish. Game developers ZeniMax Online Studios also announced last week that the game would be available for multi-functioning roles gameplay and will launch on Windows PC, Xbox One and PlayStation 4 in Spring 2014. The Elder Scrolls Online is currently taking registration for public beta gameplay. It is set to take on titans of the MMO world such as World Of Warcraft with this latest sword and sorcery installment. Read T3's Beta, release date, pics, trailer news here. Watch more about the Kwama in the developer video below.